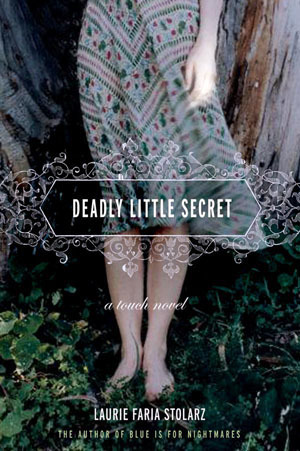 This week's teaser comes from Deadly Little Secret written by Laurie Faria Stolarz. "You felt something just now, didn't you?" I ask, as soon as she steps away. Ben pours sugar into his mug and stirs. "I always feel something with you." Yes, yes, yes. I love your teaser!! That cover is so lovely too! I'm a new follower so I don't know if you usually do this (or if it was even purposeful) but I LOVED how you snuck a teaser in that had 'sugar' in it. Great way to tie your blog in to the teaser. Heya guys - Sorry for the late reply. I have been dealing with a lot of pain this late week. Thank you everyone for your lovely comments on this post. I really did end up enjoying the book and look forward to the next one. Hi Lilly, Thank you for stopping by. :) Nope, I have not read the Blue is for Nightmares series. I hope to one day. I will stop by your blog asap.